Picked September 21st, yields at Rosella’s Vineyard were only 60% of the previous year. Proves the old adage that what Mother Nature giveth, she can also taketh away. Fruit quality was outstanding though so we opted to do 29% whole cluster. 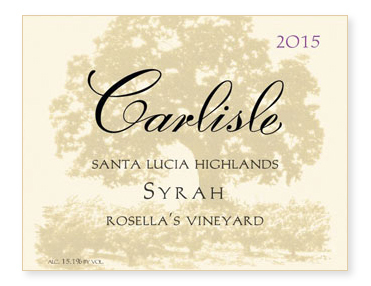 We like the structure, spice, and floral notes that the stems provide. Uninoculated (or, if you prefer, ambient) fermentation. Twenty-three days on the skins. All French oak, 22% new. Bottled unfined, unfiltered, and insanely delicious.